Welcome to this week's edition of Frugal Friday! So glad you could join us! Because of all the craziness from this week's book launch, I didn't get a chance to go through last week's links like I would have liked. 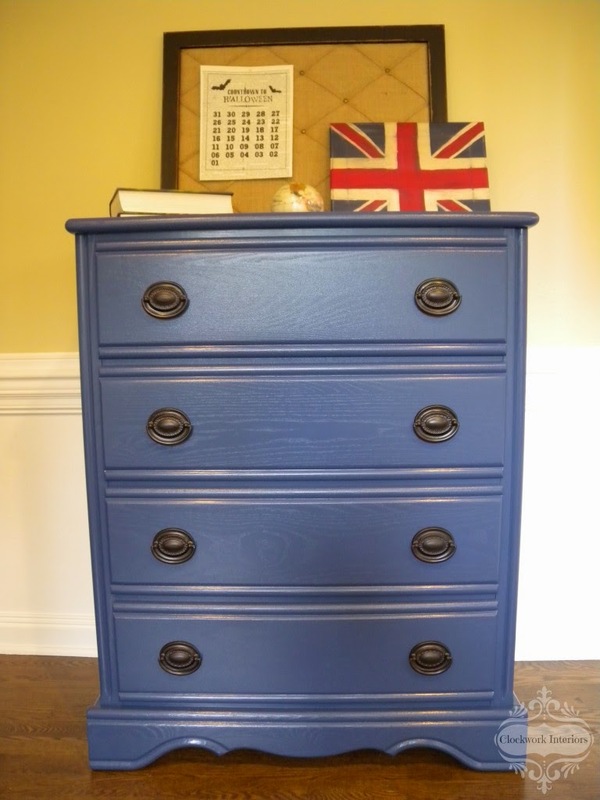 But I did spy with my little eye this beautiful dresser redo shared by Clockwork Interiors. I love the navy blue! Thanks for hosting! Love the dresser inspiration!